March 20 marks the first day of spring this year. While here in Boston, we’ll still be thawing out from a rough winter, it’s not too early to think about you’re child’s bicycle safety, as kids will no doubt be begging to get out and ride within a few short weeks. Our Boston child injury lawyers know that city officials have been keeping closer tabs on bicycle trends and related crashes in recent years, as bicycle ridership increased 122 percent between 2007 and 2009. In part, this is due to certain bicycle-friendly improvements throughout the city, including many miles of bicycle lanes in various locations. We don’t know exactly how many of those riders are children, but we do know that while about 72 percent of Boston cyclists report wearing helmets, just 45 percent of those requiring EMS attention were wearing head protection. Wearing a helmet, according to the National Highway Traffic Safety Association, reduces the risk of brain and head injuries by nearly 90 percent. Yet, the NHTSA noted, just 25 percent of kids between the ages of 5 to 14 actually wear a helmet when biking. Teens report numbers close to zero. 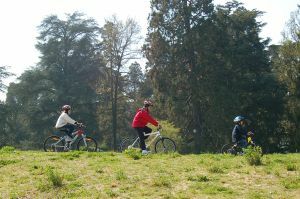 In the last 10 years, an average of 130 children aged 14 and under die in this country each year in bicycling accidents. Here in Boston area, there are approximately 1,500 bicycle crashes reported annually, with injuries ranging from scrapes and bruises to permanent disabilities and death. Late last year, the death of a 23-year-old Boston University graduate student, who died while bicycling his way to school, followed a fatality a month earlier when a 21-year-old student was on his bicycle when he was struck and killed by a metro bus. As a result of these two incidents, the city announced this month that it will be installing more caution signs, enhanced bicycle lane markings and reflectors in the pavement in certain areas. Children, however, should not be biking in traffic alone, unsupervised. While the sad fact is, you can’t force motorists to abide by traffic safety laws, you can do everything in your power to keep your children safe. Wear a helmet, and make sure it is properly-fitted. You can learn more about how to ensure a proper fit by clicking here. Adjust the fit of your child’s bicycle. Have him or her stand over the bike and make sure there are 1 to 2 inches between you child and the top tube and that the seat is level front to back and adjusted to allow a slight bend at the knee when the leg is fully extended. Teach your child to check the inflation of the tires and the breaks – every time – before heading out. Instruct your child on how to best make him or herself visible. Whether it’s day or night, wear bright or even fluorescent colors, as well as something that will reflect light, such as reflective tape or flashing lights. Understand that just because you see a car doesn’t mean the driver sees you. For this reason, it’s better to avoid driving at night. Your child should know how to watch for road hazards, like potholes, gravel, leaves, broken glass, puddles and dogs. Children under the age of 10 should not be riding in the street. They should be on the sidewalk. Teach your child to watch for parked vehicles, as there is a risk of them backing out or a door suddenly opening.